Today was the final day of TechEd Australia, and I was privileged to attend probably the most relevant session to my chosen specialty area, apart from BizTalk Bill‘s WABS presentation yesterday. Brady Gaster from the Windows Azure SDK team gave a terrific presentation on integrating Windows Azure Websites with On-Premises Systems. billed as a discussion on “various techniques of connecting a Windows Azure Web Site to an on-premises enterprise architecture”. It certainly did not disappoint! Brady demonstrated the use of Windows Azure Service Bus topics and relays in order to connect a website hosted application to on-premises systems and databases by running iterative solutions based on an “Enterprise Pizza Store” concept. He used a Service Bus topic to accept orders from the website and process them, with multiple subscriptions based on the processing status. He then progressed to using Service Bus relays to expose services that perform the database operations rather than having external sources update the data directly. 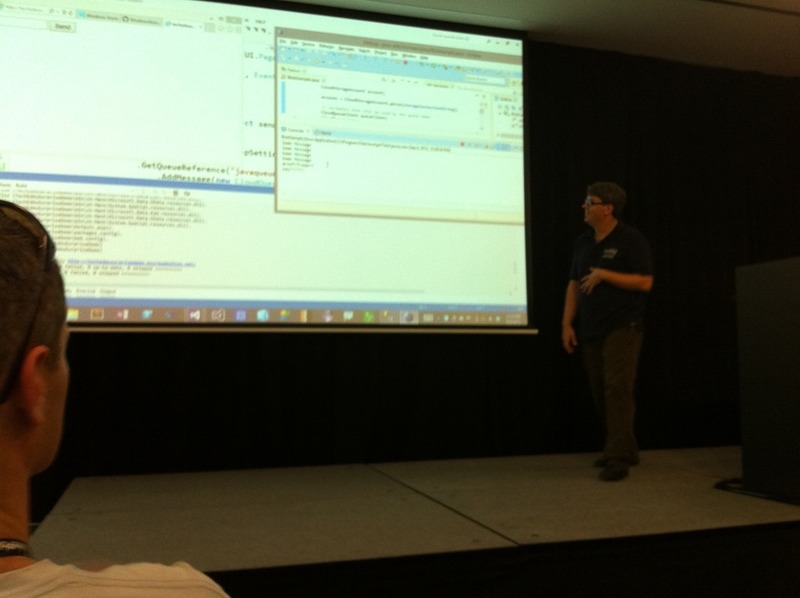 Finally, he included a “surprise demo” that exhibited the use of the Windows Azure SDK for Java, using a Java client to log messages. All the demos were very smooth and impressive, and effectively demonstrated how easy it is to leverage cloud resources to implement hybrid solutions that cross organisational boundaries. All the code (excluding the “surprise” Java demo) can be found here on GitHub, while the slides from his USA version of this presentation can be found on Channel9. He also has an extensive blog post on this. I highly recommend checking it out!